Two hidden parts of the Walled City’s built heritage were open to the public on Saturday 14th September as Walls400’s contribution to European Heritage Open Days 2013. In the morning the Plinth on Royal Bastion was open, providing unique elevated views of the City Walls. In the afternoon, the Basement of the Deanery on Bishop Street Within was opened, providing a unique insight into life” below stairs” in early Victorian Derry. This weekend was European Heritage Open Days, organised by the NI Environment Agency when owners of historic properties open their doors to the public. There were lots of amazing buildings open this weekend, but we wanted to give people access to parts of our built heritage, which are never open to the public. 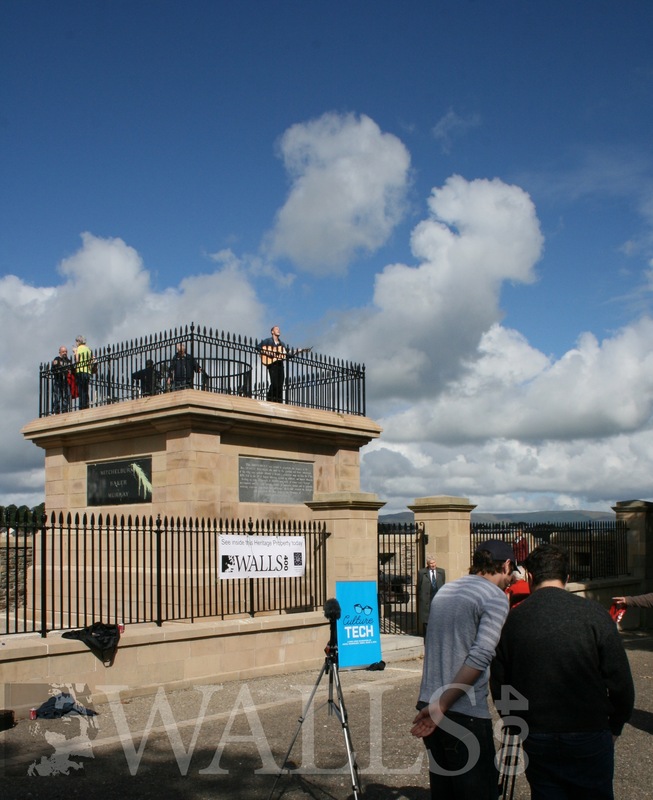 Whilst most people will have toured Derry Walls, few will have ever been inside the gated Royal Bastion and fewer still will have climbed up the staircase within the Plinth, which used to be part of Walker’s Pillar. The Deanery is one of the most striking period buildings on Bishop Street Within and many of us will have walked past and wondered what lies behind the dusty basement windows. Saturday will be an opportunity to find out! 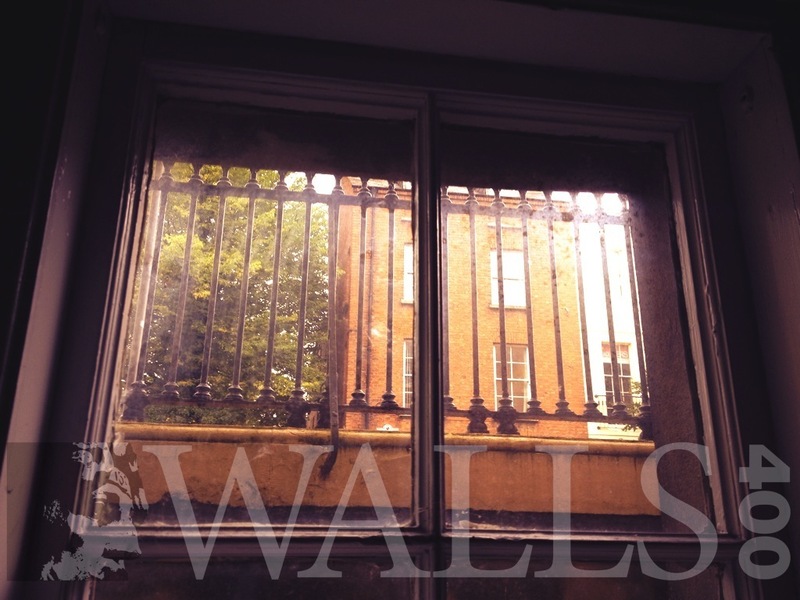 The Deanery Basement, and the adjacent No 1 St Columb’s Court, will be used during October by MAK9, a collective of artists and designers, for an exhibition entitled “Draw on the Walls”. Some of the works are currently being installed in the Basement, so visitors on Saturday had a sneak preview of the artists’ work. The purpose of the City Walls Heritage Project is to help heal community divisions through an exploration of the shared history of the City Walls. The Trust is grateful to the Vestry of St Columb’s Cathedral and the General Committee of the Apprentice Boys of Derry for their help in making these parts of Derry’s built heritage open to the public on Saturday. 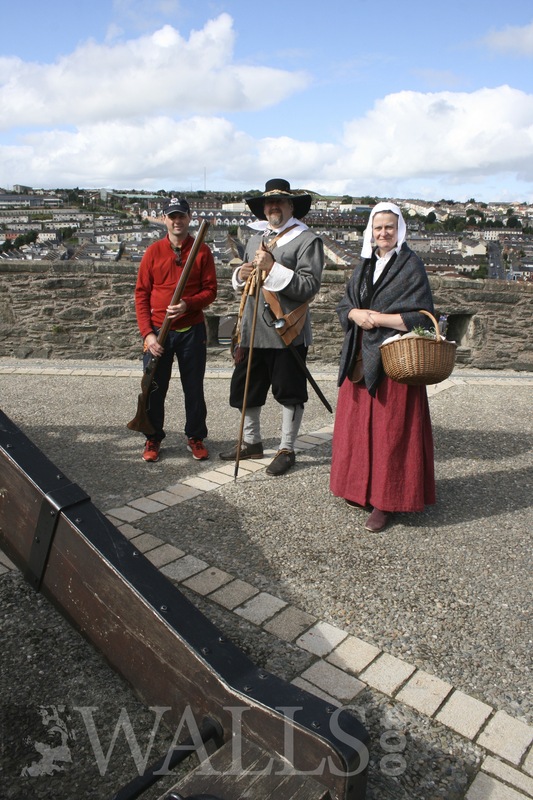 Stepping back in time, the “Master Gunner and Wife“, was also on the City Walls helping to explain how Derry’s 17th century cannon were used. Because of the way the cannon were commissioned, Derry’s Walls are unique in having such a large collection of cannon, each with a well-documented history. No waiting at the Plinth!